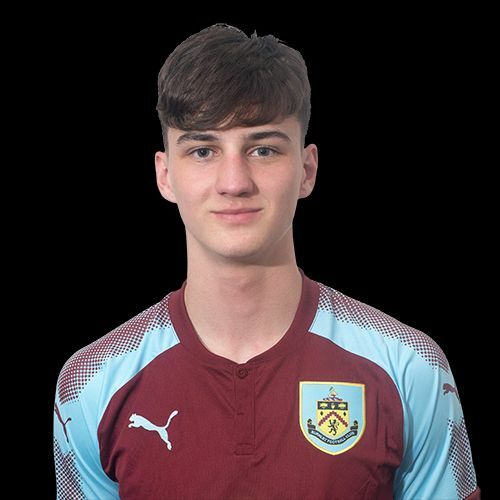 It looked, with twenty minutes remaining, that Burnley could lose top spot this afternoon to Huddersfield Town in the U18 Professional Development League. Huddersfield, who had beaten us 4-0 at Gawthorpe in October, looked in command with a two goal lead, but Burnley came back to earn a well deserved point with goals from James Clarke and Marley Blair. Burnley had been the better side in the first half but we trailed 1-0 at half time with George Danaher scoring from what was the home side’s only real opportunity during the first period. Any hopes of a quick comeback in the second half were dashed though when, ten minutes in, Ben Mills doubled the home side’s lead and left us with a mountain to climb. That mountain didn’t look as though it would be climbed with Huddersfield then having their best spell in the game. The clock ticked down but on 72 minutes we got a lifeline when we won a penalty. Leading scorer Jordan Cropper, now settled in at right-back, stepped up but Blair had already got the ball on the spot. However, the goalkeeper went the correct way, to his right, and saved the spot kick at the expense of a corner but Burnley weren’t to be denied with Clarke (pictured) pulling one back as he got on the end of the corner. That gave us a big lift and six minutes we were level when Blair tucked the ball home into the bottom corner after the ball had been cut back into his path by Craig Ellison. We then looked the more likely to go on and win it but Huddersfield held out with the teams picking up a point apiece. Burnley’s lead over Huddersfield remains at two points and we are next in action in a week’s time when we play Crewe at home, the last team to beat us in the league back in November. The Burnley team was: Adam Bruce, Jordan Cropper, James Clarke, Lewis King, Matthew Rain, Jordan Barnett, Dan Moss, Ethan Kershaw (Sam Layton 86), Marley Blair, Dylon Meredith (Mitchell George 60), Craig Ellison. Subs not used: Harry Allen, Bobby Thomas, Kian Yari.